Kansas City Area Transportation Authority (KCATA) and the Kansas City Art Institute (KCAI) are forming a partnership to provide an all-access transit pass to university students. On Monday, the KCATA Board of Commissioners approved an agreement to provide KCAI students with a pass for all RideKC transit, including KCATA, Johnson County Transit, Unified Government Transit and Independence, Mo. KCAI students will begin using their student identification to ride transit beginning with the fall semester. There are approximately 630 students enrolled at the school. The school is close to the Main Street MAX line, and within walking distance to 47-Broadway and 39-39th Street. 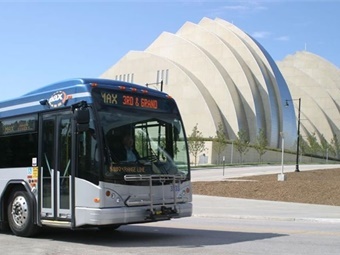 RideKC offers more than 90 routes throughout the Kansas City region. University of Missouri-Kansas City has provided the U-Pass program to their students since 2011. KCATA is pursuing similar arrangements with other area post-secondary schools.